A new pill taken before bedtime just may be the greatest advance in waking up since coffee. Rise-N-Shine's an all-natural, delayed release, energy pill called, "Wake Up On Time" is turning sleepers into morning people, overnight. Taken right before bed, it starts to work 6 to 8 hours later by releasing all-natural ingredients into your body to give you energy so you can wake up feeling alert, refreshed and full of energy. This patent-pending pill has been nicknamed "the alarm clock inside of a pill" and has quickly become the long-awaited solution for so many that just can't seem to function in the morning. According to new research from the APA Journal Emotion, becoming a morning person might actually help you to become a more productive, happier and healthier person than those who are night owls and prefer to sleep in. Wake Up On Time is a proprietary blend of B vitamins, Amino Acids, Guarana Seed Extract and Siberian Ginseng that are geared to address the psychological and physical reasons why people have trouble getting out of bed in the morning. The magic behind the pills is the special coating over the tablets to delay the initial release of the ingredients. The coating dissolves over time while you sleep over and delivers its benefits when you need them most; when the alarm clock rings. "It's more than a vitamin, it's time in a bottle because, instead of hitting the snooze button over and over again, our product allows you bounce out of bed, ready to go," said Cathy Beggan, founder of Rise-N-Shine and creator of this groundbreaking supplement. Wake Up On Time does have an important side effect…it promotes singing in the shower and getting to work on time. Steve Nagle, Morning Producer from WAQY-FM/Springfield, MA, says: "Wake Up On Time has worked wonders for me. Before I started using it, I was constantly feeling groggy in the early morning. As I started taking Wake Up On Time, I could feel the effects immediately. 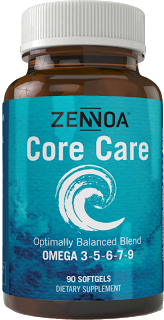 I now wake up feeling energized and refreshed, and feel no need to hit the snooze button!" Wake Up On Time is available at select stores across the US, or you can order it direct at http://www.wakeupontime.com. Rise-N-Shine, LLC is a New Jersey based all-natural supplement company engaged in developing proprietary, targeted supplements on the basis of meeting everyday needs naturally. Founded in 2006 by Cathy Beggan, Rise-N-Shine's best sellers include, Go Away Gray, a patent pending pill that prevents and reverses gray hair, along with over twenty other products designed to help people to look and feel their best. Washington, D.C. - February 20, 2013 - WiserTogether's study released today found that doctors don't do enough to consider their patients' needs before prescribing treatment. And solid evidence proves that when physicians' decisions are centered around patients as whole individuals, patient outcomes are better--so much better that the Institute of Medicine has made it one of the six foundations of quality care. The latest update of the Patient-Centered Care Index (PCCI), a nationwide, quarterly survey of 2,500 patients who have received physician care in the last six months, places the PCCI at 3.46 on a 5.0 scale. A score of at least 4.0 is required for patients to agree that physicians are effective at patient-centered care, so this is a middling score that leaves much room for improvement. The PCCI is administered by WiserTogether, Inc., a Washington, D.C.- based company that helps patients and doctors better achieve patient-centered care. Patient-centered care is important because it improves patient health and lowers total cost of care. It's an important element in improving health care in America and is among the least expensive to implement. However, it represents a change for many physicians and hospital systems, whose traditional top-down decision making revolves around clinical protocols and physician experience rather than patient values and involvement. It's unclear to what degree America's physicians have either the skill or the will to embrace patient-centered care. A recent University of Michigan study demonstrated that patients with empathetic doctors felt less pain, as measured both by patient reports and MRIs. Similarly, researchers at the University of California, San Francisco found that patients who felt their doctors didn't connect with them adhered to their medications 4% to 6% percent less frequently than patients who said they felt a connection to their doctors. First, PCCI probes whether physicians are doing a good job of understanding a patient's situation and values and taking these into account to make appropriate care decisions. Second, it measures whether physicians are helping a patient truly understand the options available for tests and treatments. Third, PCCI asks whether physicians are helping patients understand the evidence for or against various options. Fourth, PCCI looks into whether physicians are establishing empathy and good communication with patients. And fifth, PCCI gauges whether physicians involve patients in the decision making about their care. Individually and collectively, these five factors are associated with care that delivers better outcomes for patients. Within the PCCI's component measurements, there are interesting differences in how America's physicians perform. Physicians perform best when involving patients in decision making. Though patients overall rate physician performance as unacceptable in this area, physicians are doing measurably better at involving patients in decisions than they are doing in other areas. Physicians are worst at trying to understand a patient's personal values and situation before recommending care, and at helping patients understand their range of options. The overall picture painted by PCCI shows America's physicians starting to reach out to patients to get them more involved in decision making, but without the skills, tools, and patience to ask the right questions and provide the guidance needed for shared decisions to reach their potential. "America has a shortage of doctors, and that's going to get worse, not better, as the Affordable Care Act is fully implemented." says Gregg Rosenberg, Chief Product Officer of WiserTogether. "Doctors have very little time to spend with each patient. If they're going to succeed at patient-centered care, they need help. They need tools to understand their patients in the limited time they have, and to help their patients understand their options quickly, accurately, and in ways relevant to care." WiserTogether Inc., helps patients choose the right care at the right time. The company offers an innovative, web- and mobile based treatment selection and shared decision support platform that helps patients make personalized, evidence-based, and cost-effective treatment decisions across a growing list of preferences-sensitive health issues including musculoskeletal, cardiovascular, mental health, diabetes, pregnancy and respiratory illnesses. Patients using WiserTogether's platform achieve better health outcomes through more effective treatment decisions, saving payers money and giving themselves peace of mind. Today, more than 1.5 million people have access to WiserTogether's platform through employers and health plans in the country. Founded in 2008 and privately held, WiserTogether is based in Washington, DC. NEW YORK (Feb. 20, 2013) -- Physicians at Weill Cornell Medical College and biomedical engineers at Cornell University have succeeded in building a facsimile of a living human ear that looks and acts like a natural ear. Researchers believe their bioengineering method will finally succeed in the long quest by scientists and physicians to provide normal looking "new" ears to thousands of children born with a congenital ear deformity. 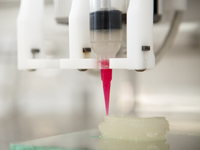 In their PLOS ONE study, the researchers demonstrate how 3D printing and new injectable gels made of living cells can be used to fashion ears that are identical to a human ear. Over a three-month period -- the length of the study -- these flexible ears steadily grew cartilage to replace the collagen that was used to help mold them. "I believe this will be the novel solution reconstructive surgeons have long wished for to help children born with absence or severe deformity of the ear," says the study's co-lead author, Dr. Jason Spector, director of the Laboratory for Bioregenerative Medicine and Surgery (LBMS) and associate professor of surgery of plastic surgery in the Department of Surgery at Weill Cornell Medical College and an adjunct associate professor in the Department of Biomedical Engineering at Cornell University. "A bioengineered ear replacement like this would also help individuals who have lost part or all of their external ear in an accident or from cancer." Currently, replacement ears are constructed using materials that have a Styrofoam-like consistency or, sometimes, surgeons will build ears from rib that is harvested from a young patient. "This surgical option is very challenging and painful for children, and the ears rarely look totally natural or perform well," says Dr. Spector, who is also a plastic and reconstructive surgeon at NewYork-Presbyterian Hospital/Weill Cornell Medical Center. "All other attempts to 'grow' ears in the lab -- including one 1997 study widely publicized by photos of ears implanted on the backs of mice -- have failed in the long term." This Cornell bioengineered ear is the best to date in appearing and acting like a natural ear, the researchers report. Also, the process of making the ears is fast -- it takes a week at most. "This is such a win-win for both medicine and basic science, demonstrating what we can achieve when we work together," says the study's other lead author, Dr. Lawrence J. Bonassar, associate professor and associate chair of the Department of Biomedical Engineering at Cornell University. Dr. Spector and Dr. Bonassar have been collaborating on bioengineered human replacement parts since 2007, and Dr. Bonassar has also been working with other Weill Cornell physicians. 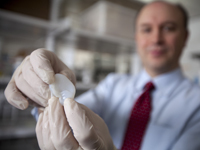 For example, he and Weill Cornell's neurological surgeon Dr. Roger Härtl are currently testing bioengineered disc replacements using some of the same techniques demonstrated in this current study. The researchers specifically work to develop replacements for human structures that are primarily made of cartilage -- joints, trachea, spine, nose -- because cartilage does not need to be vascularized with a blood supply in order to survive. To make the ears, Dr. Bonassar and his colleagues first took a combination laser scan and panoramic photo of an ear from twin girls, which provided a digitized 3D image of their ears on a computer screen. That took 30 seconds, and did not involve any ionizing radiation. The researchers then converted that image into a digitized "solid" ear and used a 3D printer to assemble a mold of the ear. The mold is like a box with a hole in the middle that is in the shape of the mirror image of the ear, say researchers. "The process is fast," Dr. Bonassar says. "It takes half a day to design the mold, a day or so to print it, 30 minutes to inject the gel and we can remove the ear 15 minutes later. We trim the ear and then let it culture for several days in a nourishing cell culture medium before it is implanted." During the three-month observation period, the cartilage in the ears grew to replace the collagen scaffold. "Eventually the bioengineered ear contains only auricular cartilage, just like a real ear," says Dr. Spector. Previous bioengineered ears have not been able to maintain their shape or dimensions over time, and the cells within them did not survive. 80 percent of their adult size. "We don't know yet if the bioengineered ears would continue to grow to their full size, but I suspect they will," says Dr. Spector. "Surgery to attach the new ear would be straightforward -- the malformed ear would be removed and the bioengineered ear would be inserted under a flap of skin at the site." "The innovation in this study is two-fold," says Dr. Bonassar. "The use of imaging technology to rapid and accurately make the shape of the ear implant is new, as is the high-density collagen gel for the mold." "These bioengineered ears are highly promising because they precisely mirror the native architecture of the human ear," Dr. Spector says. "They should restore hearing and a normal appearance to children and others in need. This advance represents a very exciting collaboration between physicians and basic scientists. It is a demonstration of what we hope to do together to improve the lives of these patients with ear deformity, missing ears and beyond." Deerfield, IL -- The Society for Vascular Medicine has released a list of "Five Things Physicians and Patients Should Question" in vascular medicine as part of the Choosing Wisely® campaign, led by the ABIM Foundation. The list identifies five targeted, evidence-based recommendations that can support physicians and patients in making wise choices about their care. Don't do work up for clotting disorder (order hypercoagulable testing) for patients who develop first episode of deep vein thrombosis (DVT) in the setting of a known cause. Don't reimage DVT in the absence of a clinical change. Avoid cardiovascular testing for patients undergoing low-risk surgery. Refrain from percutaneous or surgical revascularization of peripheral artery stenosis in patients without claudication or critical limb ischemia. Don't screen for renal artery stenosis in patients without resistant hypertension and with normal renal function, even if known atherosclerosis is present. See the SVM Web site at www.vascularmed.org/choosing for more information. "One of our society's core missions is to promote optimal standards of care in the diagnosis and treatment of vascular disease. Through this innovative partnership with the ABIM Foundation, Consumer Reports and Choosing Wisely, we are able to contribute to this goal by hopefully improving both awareness and action at the physician and patient level," said James Froehlich, MD, MPH, FSVM, president-elect of SVM. SVM looked to its Board of Trustees and members to develop the list of five things physicians and patients should question. Suggestions from SVM members were solicited. A committee, consisting of four members of the Board of Trustees, narrowed an initial list down to seven recommendations. The full Board of Trustees voted on the recommendations using the Delphi method of choice, arriving at the five that became SVM's list as part of the Choosing Wisely® campaign. The facts driving the Choosing Wisely effort are well known: The current way we deliver health care in America contains too much waste in the form of inappropriate tests or procedures that do not benefit patients, and may cause harm. According to a recent report from the Institute of Medicine, up to 30 percent of health care delivered in the United States is duplicative or unnecessary. Providers and economists agree that this is unsustainable and threatens America's ability to provide the highest quality of care possible to all patients. While SVM has taken a bold step in identifying and developing the list, our work doesn't stop here. Over the coming months and years, SVM will work with the ABIM Foundation, Consumer Reports and a variety of Choosing Wisely campaign stakeholders to raise awareness of these lists and make them accessible to patients and the public. Learn more about Choosing Wisely at www.choosingwisely.org. The Society for Vascular Medicine is a professional organization founded in 1989 to improve the integration of vascular biological advances into medical practice, and to maintain high standards of clinical vascular medicine. The Society is distinguished by its emphasis on clinical approaches to vascular disorders. Scambook, the leading online complaint resolution platform, has received over 400 complaints about diet products HCG Ultra Drops and Raspberry Ultra Drops hacking their Facebook and email accounts with a link to fake news sites and deceptive advertising promoting them. Another diet product, Acai UltraBerry, was recently shut down by the Federal Trade Commission (FTC) for allegedly using the same marketing tactics. The FTC named over two-dozen affiliated products falsely marketed with fake news sites. What's the domain? Check to see if the URL is the proper domain for the news outlet. Any long or randomized URLs are signs it is a hoax. Links on the page don't work, and if they do, they send you to the product order form. A legitimate news site will have links to other articles as well as real user comments. The news page uses too many stock images and graphics of the product. Perform a side-by-side comparison of the official news site and the suspect page in separate browsers to spot differences in their layouts. Are the claims too good to be true? Finally, think about whether the claims in the "article" are Product warnings and realistic.